November 21-22, 2018 at 22@ Barcelona SkypeLab Sympolab at RMIT Europe, Media-TIC located in the 22@ Innovation District, Barcelona. A symposium and laboratory dialogue between a multidisciplinary group of academics, artists, PhD candidates and urban thinkers on the impact of digital screen mediation on contemporary identity and spatial knowledge. 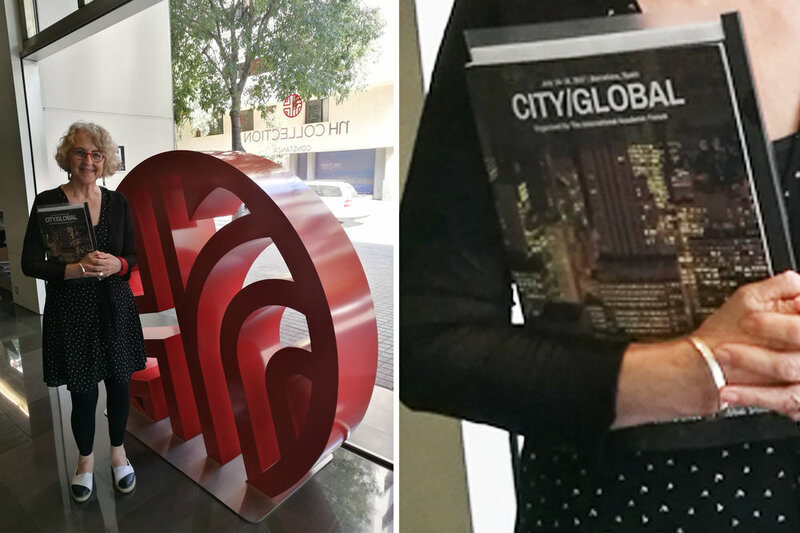 Seminar and launch of the journal at RMIT University, School of Art with speakers: Prof. Maggie McCormick and Dr. Luisa Bravo - editor of The Journal of Public Space (City Space Architecture, Italy & UN Habitat). 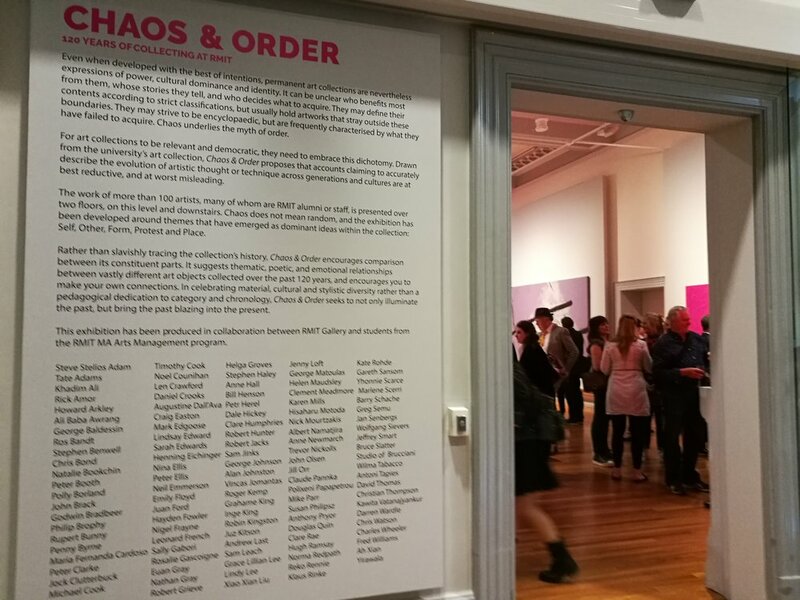 April - June 2018, Chaos & Order, 120 years of collecting at RMIT. Prof. Henning Eichinger's SkypeLab Melbourne Diaries was purchased by RMIT for their collection and exhibited as part of Chaos & Order, 120 years of collecting at RMIT. April-June 2018. Prof. Henning Eichinger's SkypeLab Melbourne Diary, exhibited at RMIT Gallery, Storey Hall, RMIT University. 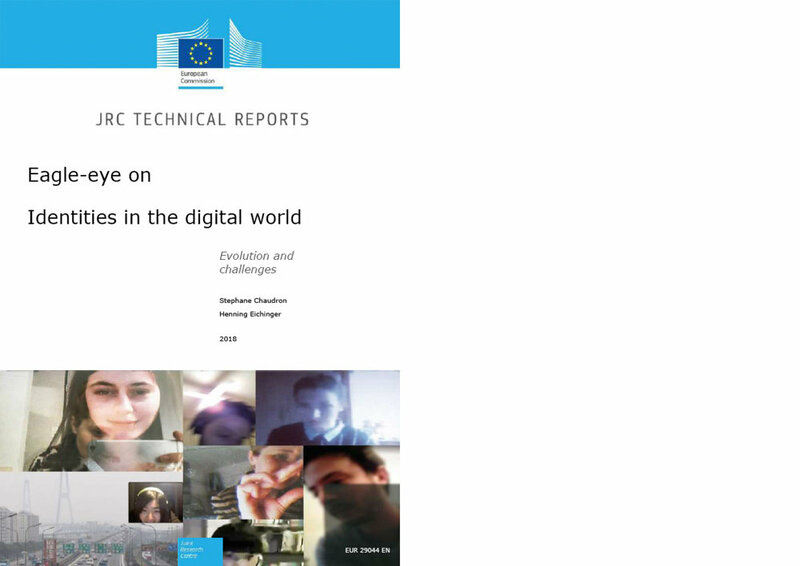 April 1, 2018, launch of the publication "Eagle-Eye on Identities in the Digital World", Evolution and Challenges. 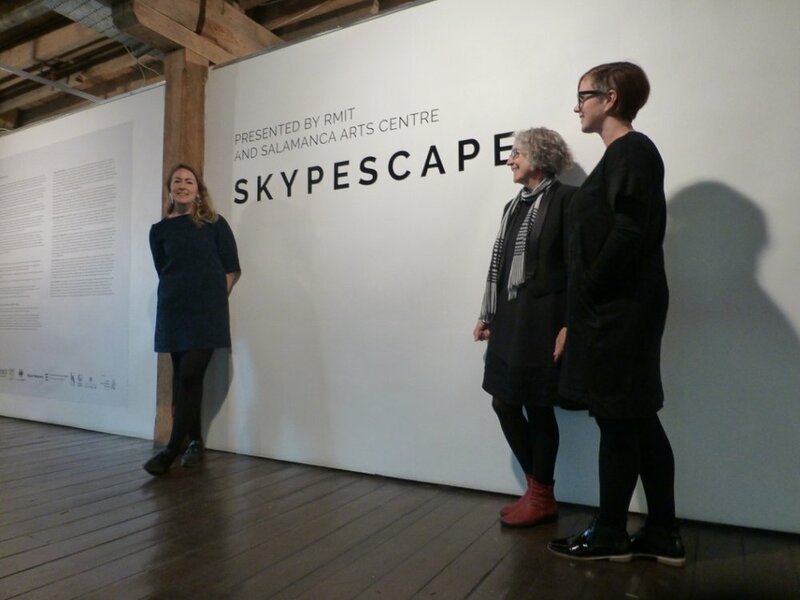 March 27- April 27, 2018: Skypescape (an overview of SkypeLab 2014-2017 & Skypetrait 2012-2013) at Salamanca Art Centre, Hobart, Tasmania in association with the University of Tasmania. 27 March-27 April 2018. Curators: Maggie McCormick and Fiona Hillary. 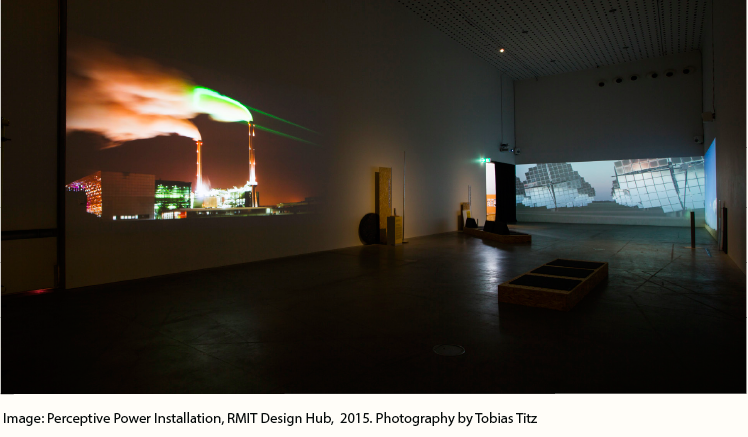 Participating artists: RMIT University, Melbourne, Australia: Susan Maco Forrester & Suzannah (Zan) Griffiths. University of Tasmania, Hobart, Australia: Jose Vicente Garcia Cesar & Holly Zeinert, with Emma Anna (Colombia), Christopher Bold (Australia), Annie Kurz (Germany) on Skype. Ainslie Macauley, SAC, Maggie McCormick & Fiona Hillary RMIT. 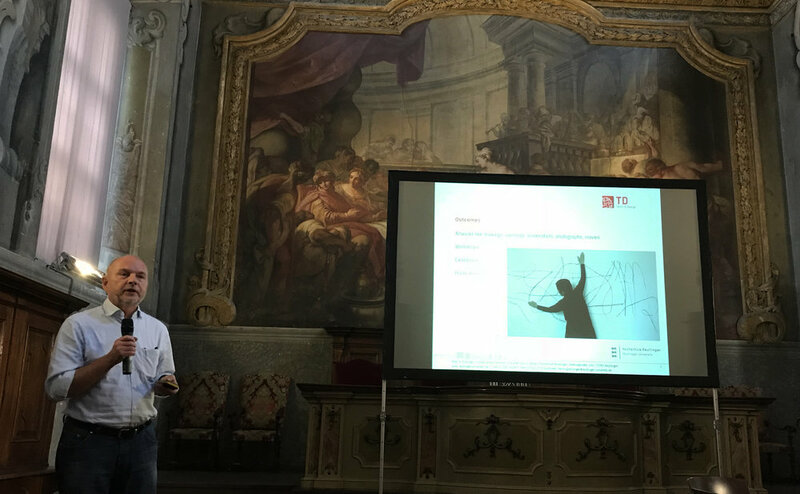 October 20, 2017, Milan, Museo Nazionale Scienza e Tecnologica Leonardo da Vinci, Milan Italy: SkypeLab: Transcontinental Faces, Spaces and Objects Talk by Professor Henning Eichinger at the preparatory workshop for the RESONANCES III Festival on BIG DATA of the Joint Research Centre of the European Commission. August 2017, Rio De Janairo: Presentation of the SkypeLab biophysical results by Maira Froes. July 2017, Barcelona: Dr Maggie McCormick conference presentation - SkypeLab: the city as urbaness at the IAFOR International Academic Forum CITY2017 conference. Dr Maggie McCormick in Barcelona, July 2017. June 5 - 6, 2017, 10am - 4pm, SkypeLab Workshop - open to public at Federal University of Rio de Janeiro. July 1 - 2, 2017, Javiera Advis, Workshop on Maps & Emotions, International Cartographic Association (ICA), Washington, D.C.
Javiera Advis, Linescape 2016, Photo: by the artist. 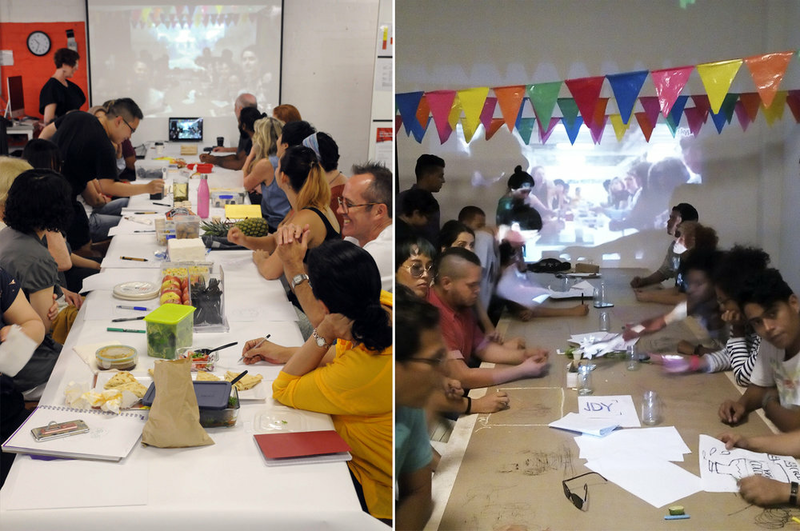 June 2017, SkypeLab RMIT University, Melbourne, Australia and Universidad de Atlantico, Barranquilla Colombia: Casa Verde Exhibition. March 2017: First SkypeLab meeting between RMIT University, Melbourne and Universidad de Atlantico, Barranquilla, Photo: Fiona Hillary. November 16, 2016, first SkypeLab group meeting between Federal University of Rio de Janeiro and Reutlingen University. October 28, 2016, Dr Maggie McCormick receives the award of Honorary Professor at Reutlingen University. The decision was based on her tremendous expertise and her exceptional engagement for #SkypeLab, the joint research project with RMIT University, Melbourne, Australia, where Dr. McCormick currently is program Manager for the Master of Arts Course (Art in Public Space). School of Art, College of Design and Social Context. Dr Maggie McCormick receives the award of Honorary Professor at Reutlingen University. Photo credit: Karls Scheuring, Reutlingen/Germany. June 15, 2016, 5pm - 7pm Book Launch, Melbourne Australia. RMIT University, Level 9, Design Hub. Link to purchase the 2016 SkypeLab publication at KERBER Verlag, Berlin, Germany. Book Launch , Melbourne Australia. RMIT University, Design Hub. Photographer credit Kate Mollison. Book Launch, Melbourne Australia. RMIT University, Design Hub. April 10, 2016, 11am, talk with Prof. Henning Eichinger and presentation of the exhibition catalogue at the Staedtische Galerie, Reutlingen, Germany. Feb. 26, 2016, 7pm, Opening at the Staedtische Galerie, Reutlingen, Germany - Exhibition on view until April 10, 2016. Aug. 21-22, 2015, Rio de Janeiro, Brazil - SkypeLab: Transcontinental Faces & Spaces Workshop MAPPING EPHEMERALITIES / EPHEMERAL CARTOGRAPHIES. The workshop will be led by Dr Maggie McCormick, RMIT University, Australia and Professor Henning Eichinger, Reutlingen University, Germany. Workshop organized by the International Cartographic Association (ICA) Commissions on Maps and Society & Art and Cartography. A Pre-Activities oft he 27th International Cartographic Conference and the 16th General Assembly of International Cartographic Association (ICA) in Rio de Janeiro, Brazil, 23-28 August 2015. DIALOGUES panel members, JILL MORGAN, MAGGIE MCCORMICK, KEVIN MURRAY, KIRSTEN LYTTLE, SOFI BASSEGHI AND NICOLE POLENTAS, responding to intercultural practice both within Australia and internationally. GUY ABRAHAMS, BEN MORIESON, RENEE UGAZIO AND JEN RAE, responding to questions of art, sustainability and urban infrastructure. TRANSFORMATIONS panel members, CLARE MCCRACKEN, KEELY MACAROW, YANDELL WALTON, DAMIAN SMITH, RIZA MANALO, PETER BURKE, CERI HANN AND TASSIA JOANNIDES responding to questions of art and community engagement. April 1 (Wednesday), 2015, 7pm - SkypeLab: Transcontinental Faces & Spaces. Lecture by Prof. Henning Eichinger within the framework of the Cultural Round Table Event/Runder Tisch Kultur, Reutlingen. Reutlingen University, Building 6 (Lecture Hall/Aula). Reutlingen University, Alteburgstr. 150, D-72762 Reutlingen. Aug. 2014 - Shanghai SkypeLab workshop. Dec. 4, 2013 - "Lehrpreis des Landes Baden-Württemberg" award for innovative educational approaches. April 19, 2013 - SWR Landesshau, Skypetrait: Transcontinental Faces on German TV. Exhibition Reutlingen City Hall in Germany. 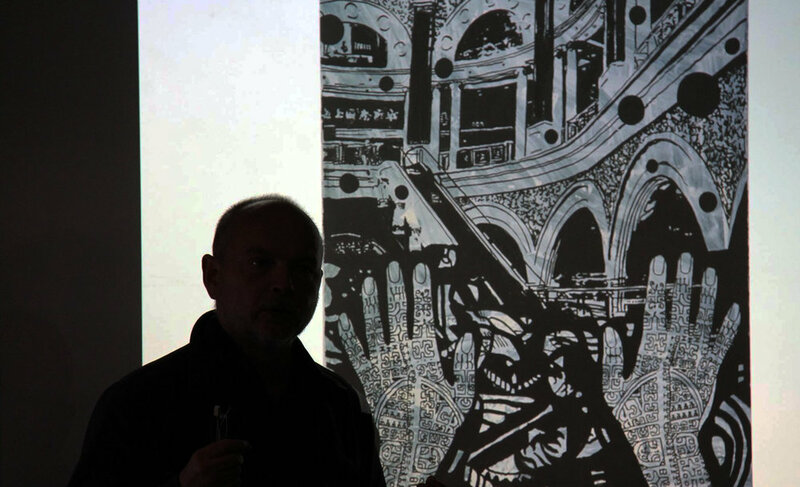 Skypetrait art residencies at RMIT University and at Reutlingen University. 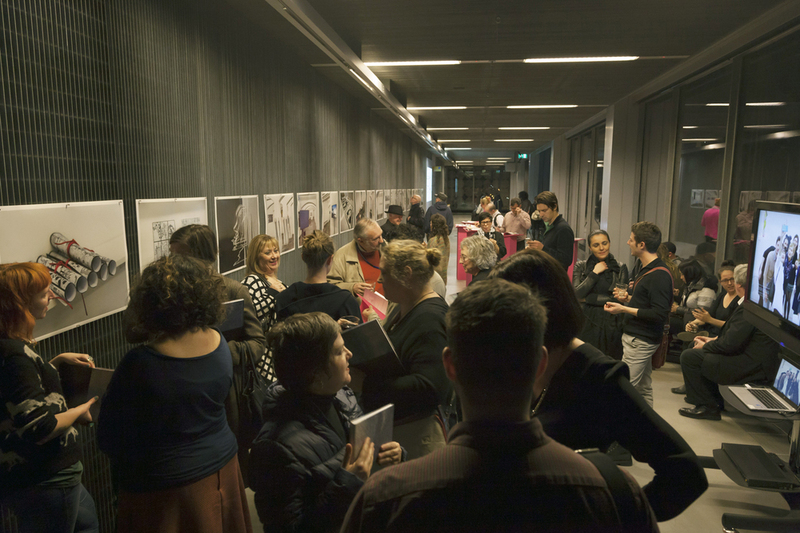 RMIT Design Hub, the Drawing Out Conference. 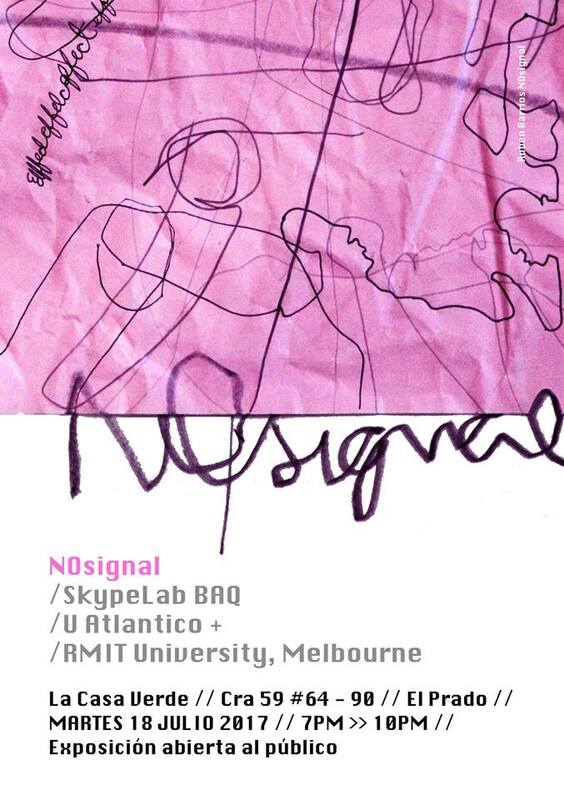 Skypetrait exhibitions and public screenings at City Library and Federation Square in Melbourne, Australia. Tatjana on screen and Georgina drawing "herself"
Exhibitions at RMIT Project Space in Melbourne, Australia. Jan. 2013 - first publication out: PDF- McCormick, M and Eichinger, H 2013, Skypetrait: Transcontinental Faces 2012/13, Stadt Reutlingen, Reutlingen, Germany. Works published on-line at ARTE Creative TV (France/Germany). Projections at Gertrude Street Projection Festival in Melbourne, Australia.